Successfully Added REXSO R20 Intelligent Car Charger - Dual USB Charger, Bluetooth Earphone, Emergency Hammer to your Shopping Cart. The REXSO R20 intelligent car charger comes with its own special Bluetooth earphone - letting you recharge your phone and enjoy hands-free calling whenever you need. The simple 1 button mini earpiece is quick and easy to sync with your Bluetooth smartphone and supports intelligent call answer. With its single multifunction button, you can take and reject calls. When not in use the ear piece can sit snuggly in the charger where it will be ready to go when next needed. 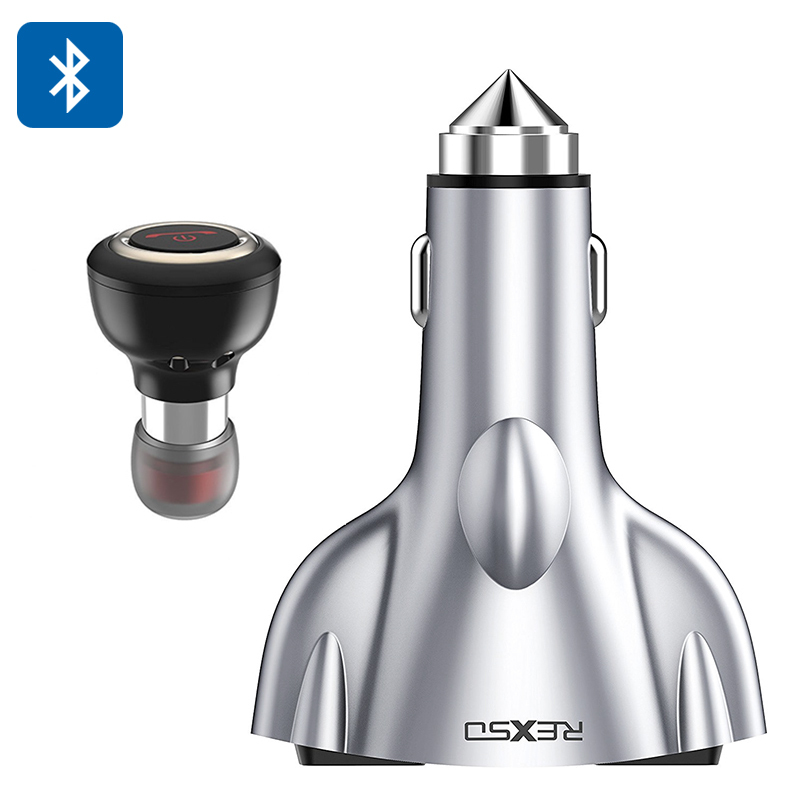 This USB car charger and Bluetooth earphone comes with a 12 months warranty, brought to you by the leader in electronic devices as well as wholesale car gadgets..